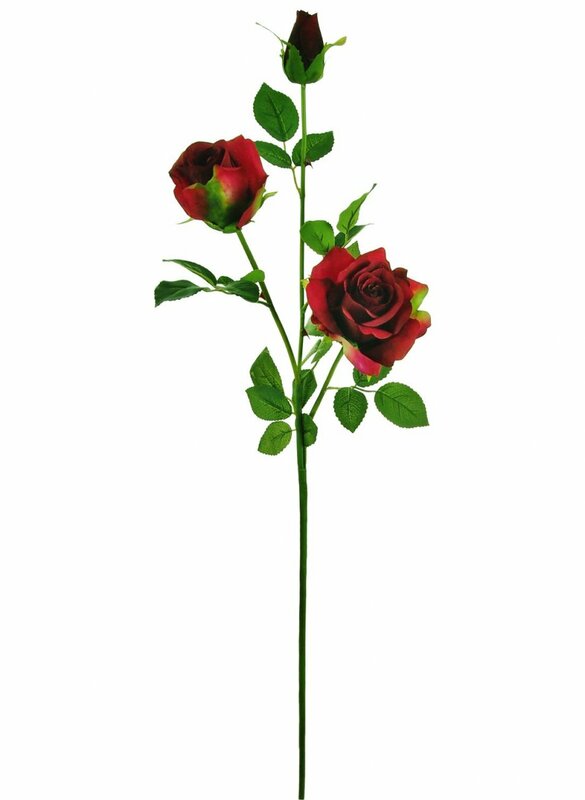 A very elegant high quality rose stem. Bearing three flower heads in various stages of bloom, the lifelike stem has thorns and 6 leaf sprigs. 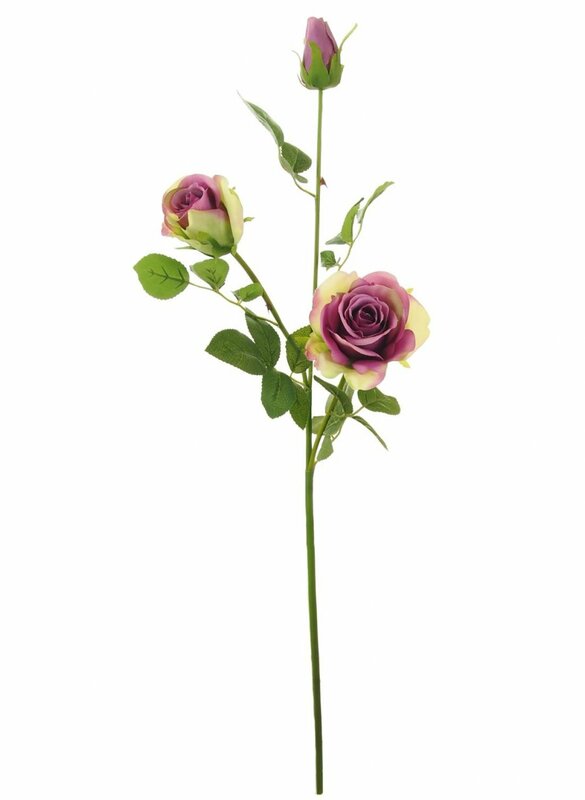 This beautiful silk rose stands at a total height of 84 cm. 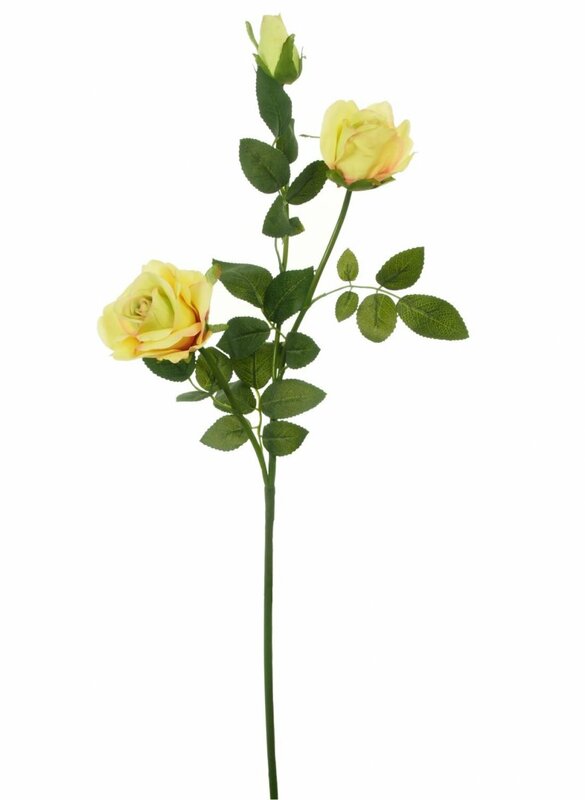 The largest head is 8 cm in diameter, medium head is 5 cm and the bud measures 3 cm. 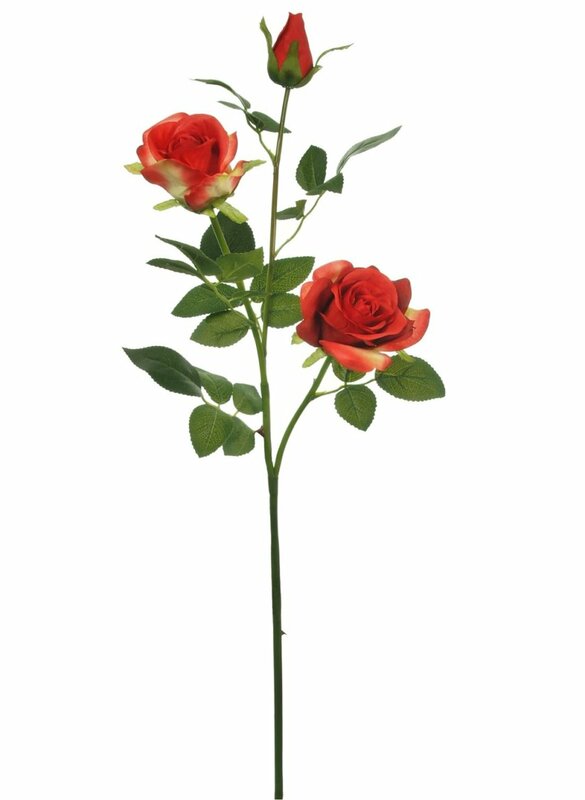 Available in 12 colours, these stunning flowers will keep their beauty all year round.